With over 35 years combined experience in the tile industry, we are passionate about quality tiles and giving expert advice. 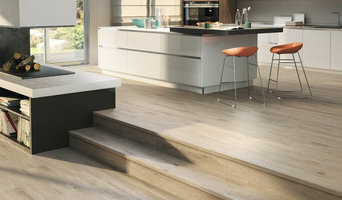 We are suppliers of highest quality Italian porcelain and ceramic tiles to the UK's trade, public and interior designers. We offer quality, inspirational tiles and expert advice, in our showroom in Leeds and online though our website. At Italian Tiles, we select ranges to display in our showroom and online which excel in design, innovation and quality, from some of Italy's most prestigious factories. We are also able to pass our direct buying straight on to our customers, ensuring that we are always very competitive with our pricing. We also offer further discount for larger quantities and aim to provide our customers with the best service, products and value for money with every project. 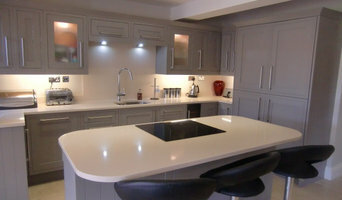 Call us to discuss your project - we also specialise in sourcing bespoke requirements! UK specialist network for tile cleaning, stone cleaning, grout cleaning and tile, stone and grout sealing covering the restoration of all types of stone and tiled flooring including Ceramic, Limestone, Marble, Porcelain, Quarry, Sandstone, Slate, Terracotta, Terrazzo, Travertine and Victorian tile. Were professionally trained and have the equipment and experience to solve any problem, were also part of a national network of 50 Tile Cleaning experts that enables us to share industry knowledge and expertise. Call us in the UK on 0845 6524652 or email Info@TileDoctor.co.uk to discuss how we can help to resolve your problem. The Tile and Flooring Specialists! Rockform provides a variety of products for interior design projects, ranging from natural stone tiles and wood flooring to modern baths and basins. Whatever your project, Rockform has not only the products, but also the expertise to ensure a fantastic result. Creating wet-room ideas are a particular strength of the team at Rockform, with endless design possibilities and advice readily to hand. Settings of luxurious Victoria & Albert baths and basins are beautifully displayed and the team are only too pleased to offer help and advice for all situations. We fully complement our tile displays with a superb collection of wood flooring. The range extends from solid planks to engineered boards, which are ideal for use in conjunction with electric underfloor heating systems, which we are also able to supply. We are also the main stockists in the area of Farrow & Ball paints and wallpapers. With over 30 years of diverse experience, we are passionate about stunning tiles for all specifications. 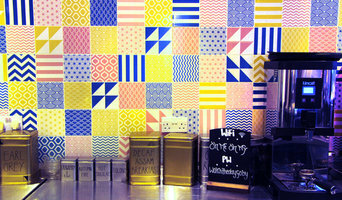 At North Tile and Stone Centre you will find the largest range of quality wall and floor tiles in the area. We import direct from the most prestigious factories to bring Skipton the most desirable porcelain and ceramic tiles from Italy and Spain at the best prices! 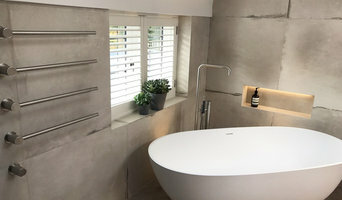 We are the areas leading suppliers of high quality tiles and are gaining a reputation for our expert advice and service, working together with the Trade and the Public to provide unrivalled value and service. Contact us to discuss your project and we look forward to working with you! JD Group are bathroom installation & tiling specialists. Founded by Dean Hartley & James Riches on the 3rd Feb 2010. Based in Orrell, Wigan offering services throughout the Northwest. We have vast experience working in different areas: -Domestic bathroom installation/refurbishments -Social housing contracts with the council -Specialist works on wetrooms & steam rooms over the country for various gym franchises. -Commercial tiling contracts in restaurants, pubs, bars, hotels, football stadiums, shopping centres -Fitting of brick tiles including pointing. Many tile, stone and benchtop contractors in Blackley, Greater Manchester, UK work in tandem with plumbers in the bathroom. They can assist in a variety of common surfacing jobs, from installing shower pans to small grouting jobs. Furthermore, they can create and install murals, mosaics, and repair or replace any surfaces with chips, cracks or stains. Here are some related professionals and vendors to complement the work of tile, stone & benchtops: Interior Designers & Decorators, Architects, Building Project Managers, Kitchen & Bathroom Designers, Design & Construction Firms. 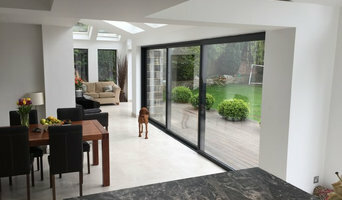 Find Blackley, Greater Manchester, UK wall and floor tilers on Houzz. Look through Blackley, Greater Manchester, UK photos to find tile, stone and benchtop projects you like, then contact the contractor who worked on it. Browsing photos will also help you stay on top of the latest trends; subway tiles, for example, are trending in kitchen splashbacks, while stone and concrete benchtops are replacing tile or formica surfaces.